Florida Gators head coach Dan Mullen addressed the media on Monday ahead of Week 4. He updated on some key injuries, improvements he wants to see this week and gave his thoughts on the state of the rivalry with Tennessee. 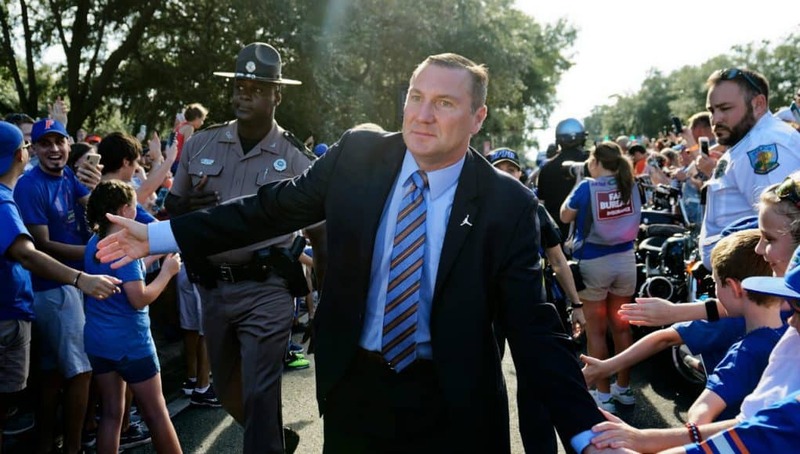 •	Mullen wants the Florida/Tennessee rivalry to return to the way it once was where the game essentially determined the winner of the SEC East. •	The Gators will mix Rocky Top into the crowd noise at practice this week. •	Malik Davis broke his foot in the Colorado State game. There is no timeline for how long he will miss yet. •	Once again, C.J. McWilliams and David Reese are expected to be back this week. •	Shawn Davis is questionable this week. 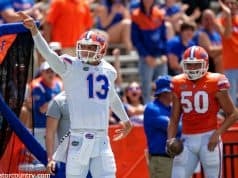 •	Feleipe Franks is still learning how to progress through his reads quicker. Mullen said it could take two years or more before he can do it correctly consistently. •	The offensive line is improving, but Mullen is not happy with its play just yet. •	There are a lot of similarities between Florida’s defense and Tennessee’s defense, so the offense has already seen a lot of the looks Tennessee will give in its practices. •	Mullen wants the defensive linemen to play with the aggression of the Incredible Hulk. •	The buy-in on special teams has been great, but there is still a lot the Gators want to improve on, especially kickoff coverage.